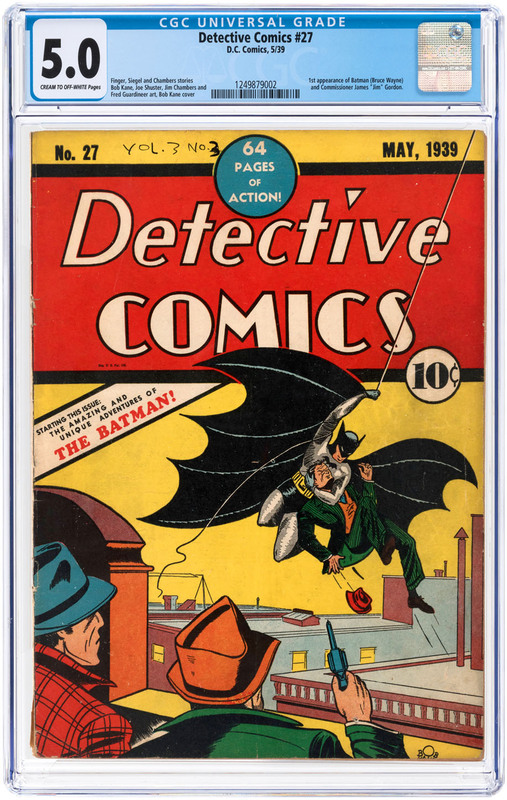 A copy of Detective Comics #27 (May 1939), featuring the first appearance of Batman (then known as “The Bat-Man”), graded CGC 5.0, sold for $569,275 in an auction held March 13-15 by Hake’s Americana, based in York, Pa. Also, a copy of Action Comics #27 (Dec. 1938), just the second-ever cover appearance of Superman, graded CGC 4.0, finished at $124,025; and late 1970s Star Wars action figures for Boba Fett and Darth Vader made $86,380 and $64,900, respectively. Prices include the buyer’s premium. 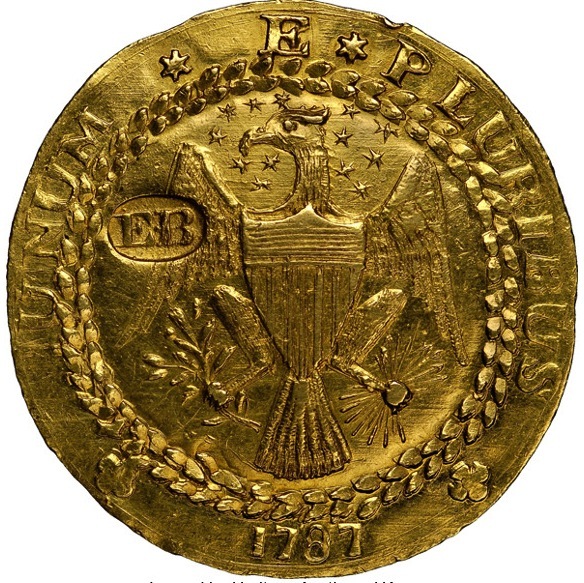 The first gold coin struck in the United States – the finest certified 1787 New York Brasher Doubloon – sold for more than $5 million in a private treaty transaction involving Heritage Auctions (based in Dallas, Tex. ), Monaco Rare Coins and an anonymous West Coast collector. It was one of the highest prices ever reported for an American coin. Heritage had previously sold the coin in 2014 for a then-record price of $4.58 million. It was graded MS63 NGC. The price is inclusive of the buyer’s premium. The Bernat Ding “Partridge Feather” bowl, a ding russet-splashed black-glazed conical bowl dating from the Northern Song dynasty, sold for $4.212 million during Asian Art Week, a series of six auctions held March 20-23 by Christie’s in New York City. Also, a 1972 acrylic on canvas painting by Syed Haider Raza, titled Tapovan, realized $4.452 million, a record for the artist; and a silver-inlaid bronze figure of Buddha Shakayamuni, made in Tibet circa 1400, rose to $3.612 million. Prices include the buyer’s premium. An oil on canvas board painting by Anna A. 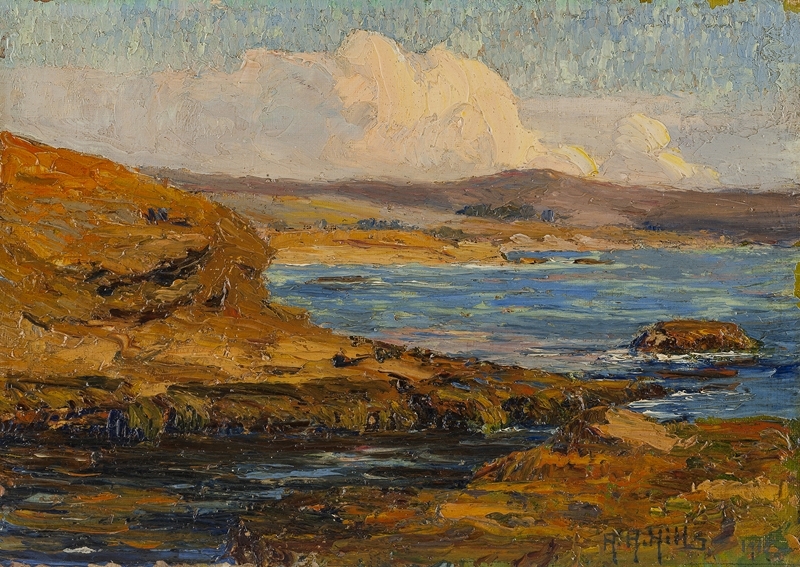 Hills (Calif., 1882-1930), titled The Pink Cloud, Laguna Coast, sold for $11,400 at a Studio Fine Art Auction held March 12th by John Moran Auctioneers in Monrovia, Calif. Also, an oil on canvas painting by Constance Curtis (N.Y., 1869-1959), titled Girl in Black, fetched $6,000; an oil on canvas rendering of the Santa Monica pier by Ben Abril (Calif., 1923-1995) brought $1,680; and a painting by Marko Stupar realized $1,125. Prices include the buyer’s premium. A bat used in a baseball game by Hall of Famer Ty Cobb, a Hillerich & Bradsby 125 Louisville Slugger model, sold for $27,005 in an internet-only auction held March 12th-24th by Goldin Auctions, based in Runnemede, N.J. Also, a pen given to boxer Sugar Ray Leonard to commemorate the 1983 Ronald Reagan signing of the MLK holiday, in a framed display, went for $11,047; and a baseball signed by 30 members of the New York Yankees team of 1951 rose to $8,592. Prices include the buyer’s premium.